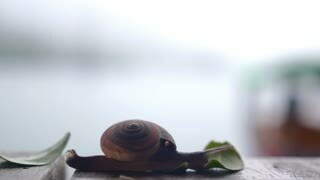 Snail crawling over stone staircase. 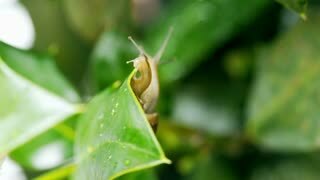 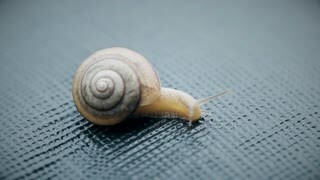 Macro of small snail crawling in nature. 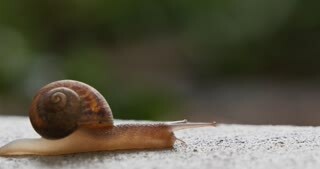 A small snail slowly crawls across a sidewalk. 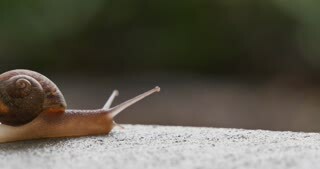 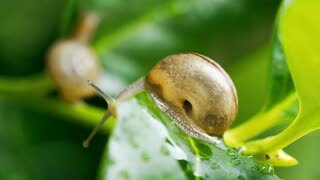 A small snail slowly crawls over the edge of a sidewalk. 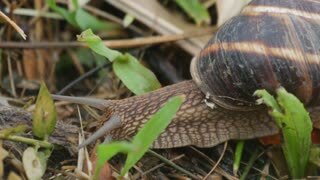 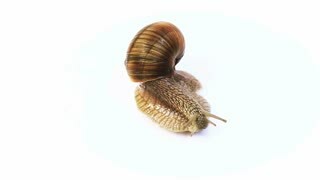 A small snail slowly crawls across the ground. 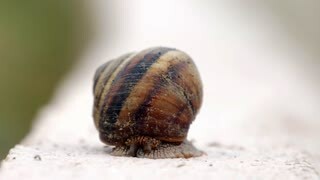 MACRO: Small tropical crab hides into its shell while crawling around coast.